If you hybridize Daylilies, chances are you have more seeds than space for seedlings. Problem solved – with Seed Sales Catalogs! 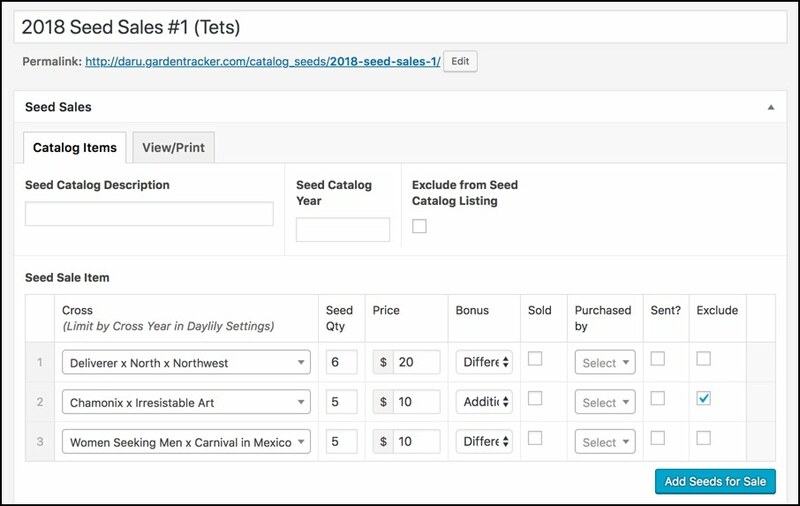 What are Seed Sales Catalogs? Seed Sales Catalogs are very similar to Catalogs. 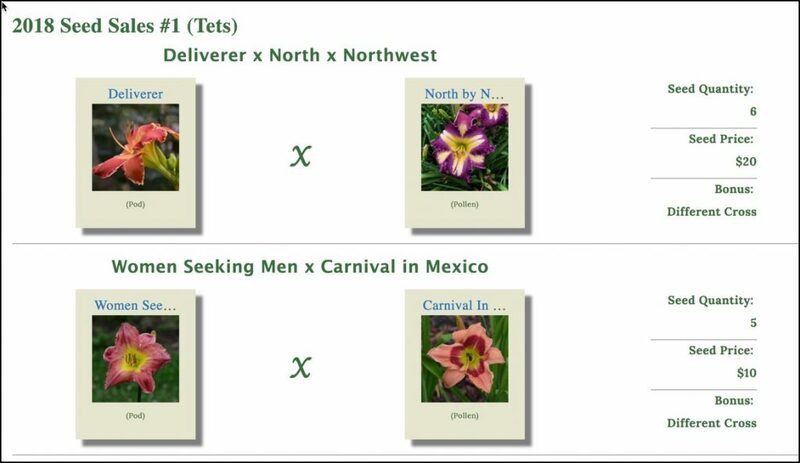 The main difference is that Catalogs pull their items from Daylilies or Seedlings, and Seed Sales Catalogs pull from Crosses. 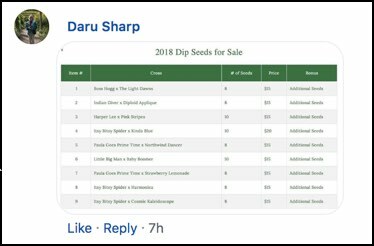 Before you create a Seed Sales Catalog, you should make sure all the crosses that generated the seeds for sale have been entered into the Crosses component of Garden Tracker for Daylilies. 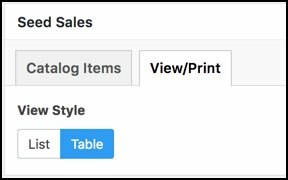 How is a Seed Sales Catalog Created? How can a Seed Sales Catalog be Viewed or Printed? Note: If you hold the ‘CTRL’ button (PC) or the ‘Command button’ (mac) down while clicking the link to view the Seed Catalog, the Seed Catalog will open in a new tab on your browser. 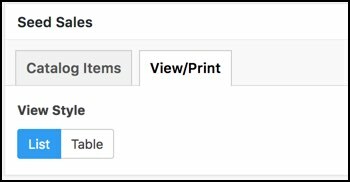 You can then go back and forth between the Data Entry screen in the back end, and the Listing or Table view on your site. How can a Seed Catalog be used to actually sell seeds? Provide this URL to your potential customers. 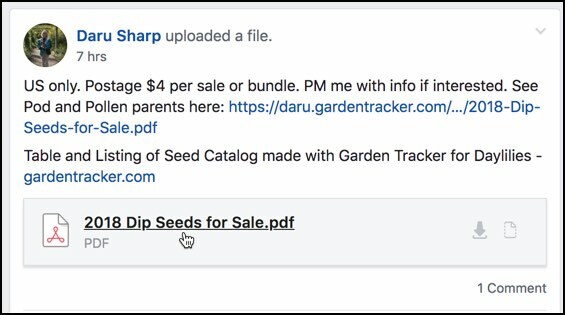 When the link is clicked, the user will be taken to your site and the view of your Seed Catalog! email Daru for help with this!